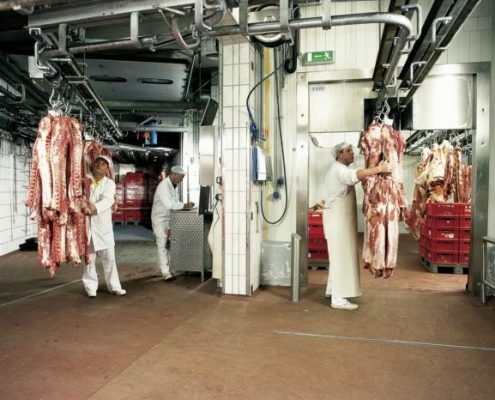 The word hygiene is a very important topic in the meat processing industry and is a topic that certainly has to start from the bottom, which means: the floor. 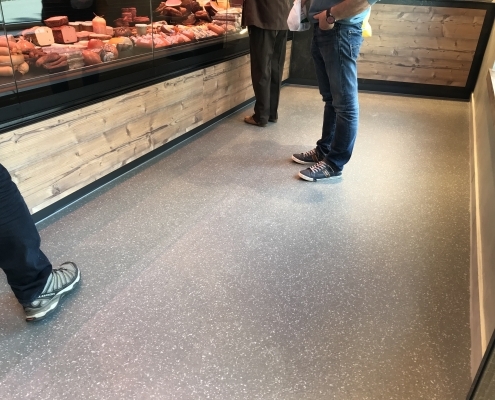 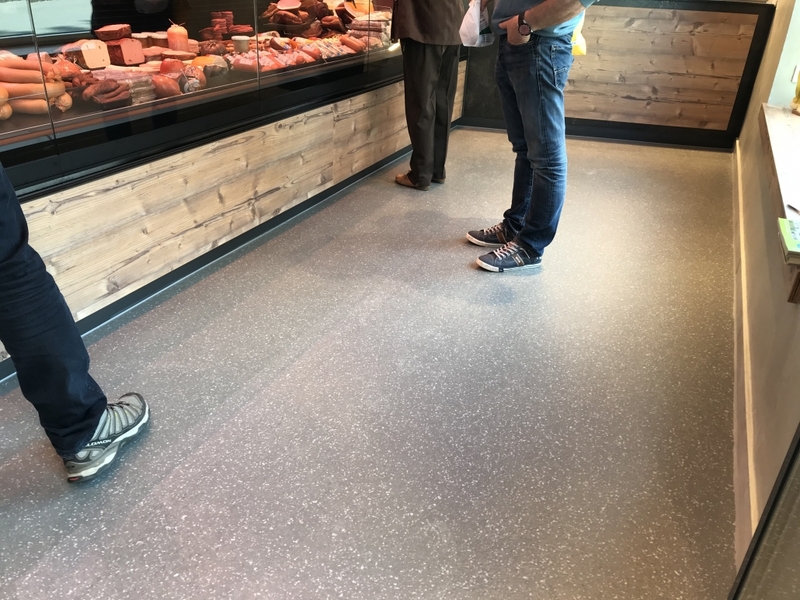 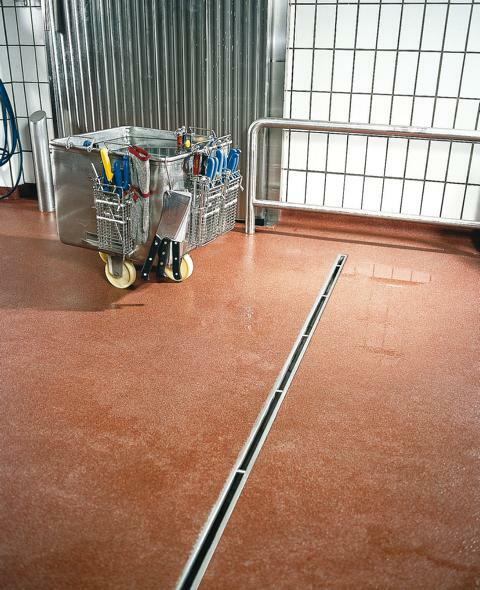 Reactive resin flooring products from Silikal offer the best basis for the impeccable handling of sensitive foodstuffs, especially meat, and for a save and rationalised daily routine at meat processing and packing plants. 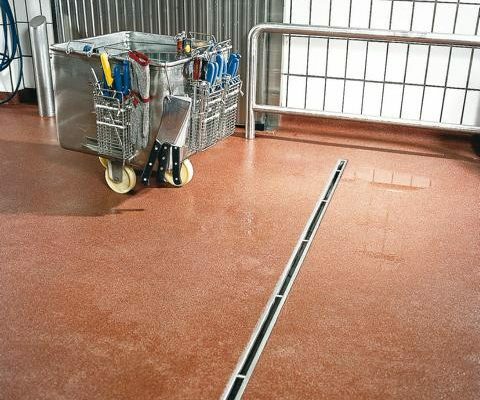 Silikal floor coatings are non-slip (slip-resistance rating R 9 to R 13) seamless, non- porous, easily cleanable and offer great basic conditions for even the toughest circumstances. 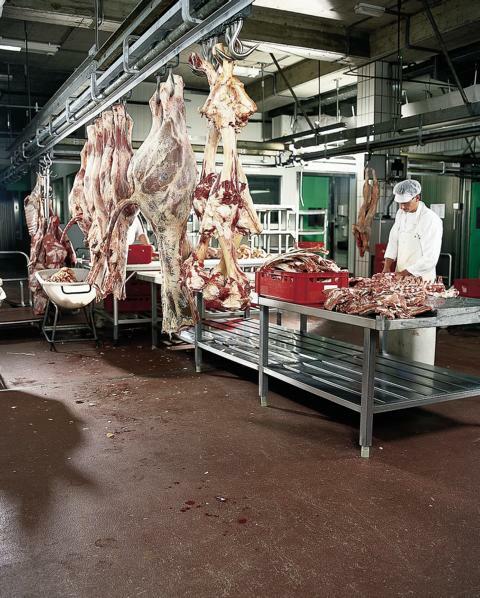 Silikal reactive resins cure quick and easy without any downtimes for your factory and at temperatures down to – 25 °C for example for cold storage applications. 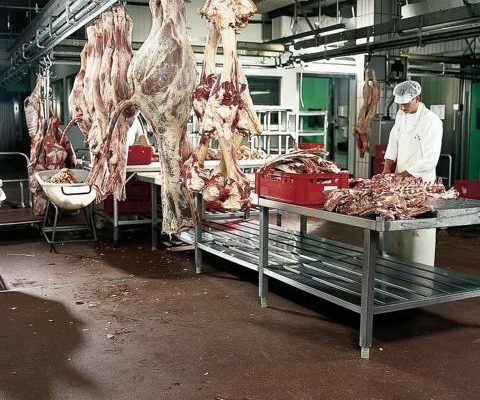 Flooring from Silikal for the Meat Processing Facility "Oberland"